Smartphones are basically our life; can you imagine a day without them? Yes, you can imagine a day but you can’t practically be happy than. With all the growing and fast developing technology around us smartphone companies are putting in their best efforts to develop new designs and to improve on the existing ones. But here we are talking over an old phone, which never made it to the surface, the xperia x7. Sony has always focused on phones that seem to entertain people off the limits. When the smartphone market just took off, Sony stepped into the market with unique designs and many options, the XPERIA U, XPERIA L were considered high-end devices and they featured a base light (just something different). The Xperia X7 on the other hand came in rumors even before the separation of ‘SONY’ and ‘Ericson’. 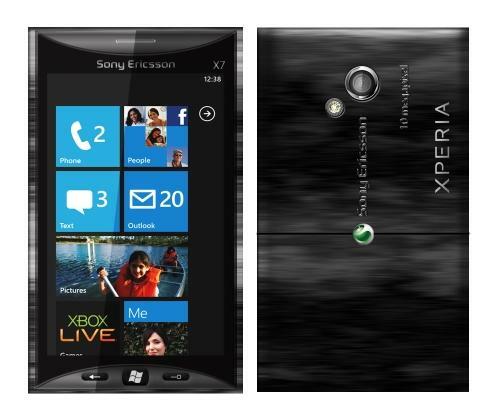 The phone was to be named ‘SONY ERICSON XPERIA X7’. The company now has product’s over 45000 INR too, but at that time this phone was considered to be a trend setter, had it been rolled out by sony. A detailed description of the phone is mentioned below. One can try promo code for Paytm mobile offers in order to get some discount. The xperia x7 was said to be launched with a 4.3 inch screen and ran on the windows platform, it featured a 8.1 MP camera which to be honest was the best in class at that point of time. The phone also recorded 720 pixels HD videos, and had a 1.2 GHz processor. All of these functions if provided at that time would have made great sales. Moreover, the year 2010-11 were more focused on windows phones rather than Android. The 3.5 inch touchscreen was something that could have reached mass market and give sony Ericson a further push through in the smartphone segment. With near to no details on the price we think that the phone would have cost around 10-15k. Though people soon realized that there had to be something fishy because the 8 MP camera seemed to high to people (old times people), that sounds like a joke, you would say smartphones have front camera’s bigger than that, yes now they do. But not long than 4 years ago it came as a surprise to the people. The details mentioned above are the only details that surfaced the net in that year, alongside similar phone named Xperia X7 mini and we did not get to see the likes of any of these. If you talk about the current market, Sony’s amongst the top smartphone developing companies alongside Apple and Samsung. Sony has always maintained its sleek bar design and a good quality to upgrade with better functioning and better looking smartphones. It was Sony itself that launched the first water and dust proof phone the xperia z3 to be exact, the phone gained immense popularity and broke records at that time. A typical sony phone in today’s date would cost you anything from 15000-50000 INR, but you can turn towards online sites and get Flipkart mobile offers to cut down some expense.